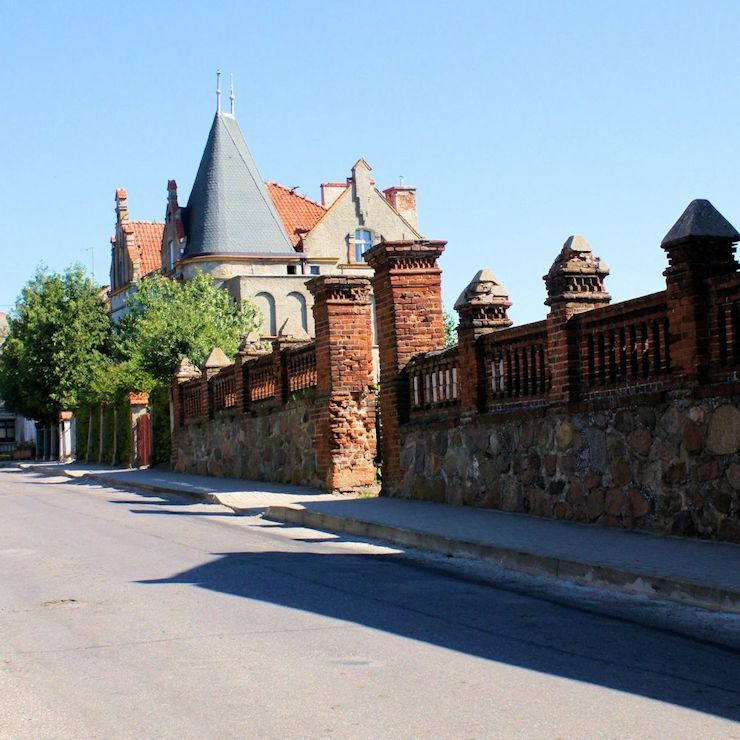 This idyllic wall and house is in Jeziorany Poland. This was probably built a few hundred years ago and survived both world wars and a revolution or two. The house is a bit dilapidated but will probably last another 100 years or so. From sparse sounds, to dense chaotic overtures. From quirky pop-like songs to symphonic opuses. There is a lot to hear here and every second is pure audio bliss. There are passages of jazzy counterpoint – which is OK – If you want to listen to it. There are quiet interludes which strain ones consciousness to hear the music. (It is said that the real music is between the notes – it happens here. Thank you Mr. 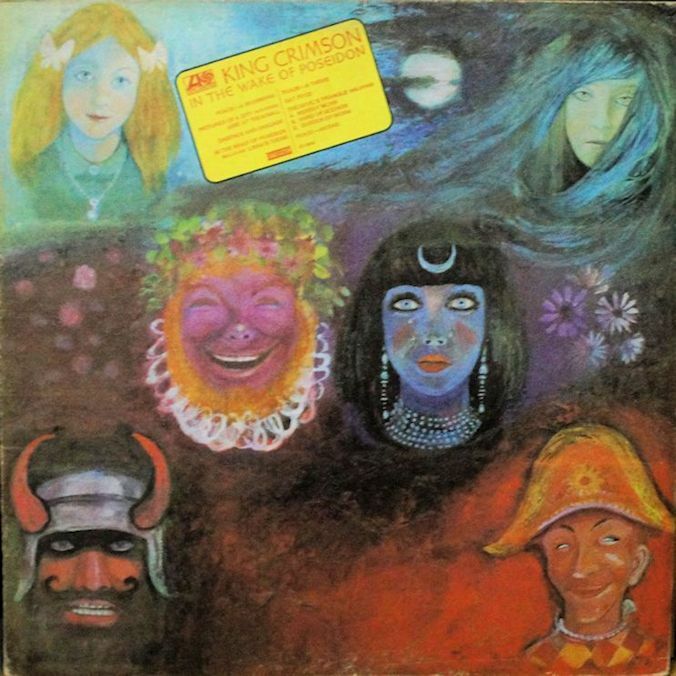 Fripp.). There are dense musical movements that erupt from nowhere and end just as suddenly. I know people that would get irritated with this music. This album is a wild ride of musical experimentation and I’m so happy that I have this in my collection. If this review seems disjointed it is the fault of the music that I am hearing. It is that good. I was in Québec and my first stop was at a dépanneur (a variety (convenience) store) to see if I could find something to my liking. There were only one or two bottles in my chosen price range and they were very suspicious looking. I was not in the mood to spill out wine that evening. The selection at a nearby gas station was also not too my liking. I hit a government liquor store and I had ample selection in my price range. And this bottle is good. Spicy, tart and lively. It has a nice bite and exhibits no unpleasant aftertaste. It went very well with the meagre snacks I had in the hotel room, an apple and a power bar, and livened up the mindless drivel that was on the TV that evening. I like the tempranillo grape. It is distinctive and gives a nice full bodied taste without being too heavy and sombre. I’ll have to look for this wine in Ontario. I’m listening to music and drinking wine. I’m going through all the things I have written and things that I have planned. It is getting a bit confusing as I am have reviewed well over one hundred bottles of wine and I am right now drinking one of them that I bought but have reviewed in the past. I’m going to have to go to the LCBO with a list of stuff I cab’t buy. This is not a pleasant prospect. The albums are easier – They were never in any order and I choose them at random to review. One photographed and reviewed They go on the bottom shelf of my record storage unit. It is a good system. The images are taken from my hard drives. I should get some order to my pictures but it is more fun to see some shots you have taken years ago and haven’t seen for ages. I’ll do that when I have time. It’s funny – you can buy everything but time. 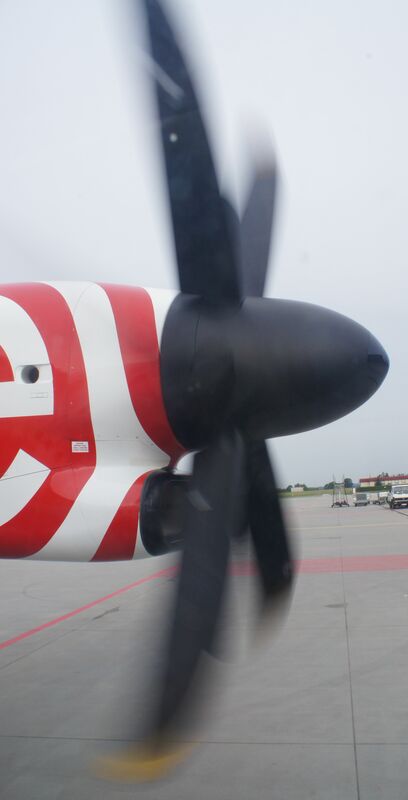 By itself, this photo is a simple shot of an ATR72’s propeller starting up. What is not shown is that two or three rows down and across the aisle sat the, at the time, Prime Minister of Poland, Donald Tusk. (He was soon to become the President of the European Council.) The flight was fine. We have come a long way as a society. I can’t imagine any musician being able to pull this kind of show off these days. I can’t imagine any jurisdiction, prison, police force, etc. allowing a music concert within the walls of a maximum security jail. Perhaps there was one or two but I do not know of any. The music on this album does not have any foreboding of being in a prison. It is a rather folksy affair with Johnny Cash belting out some of his most popular tunes. The audience is rather well behaved as I did not hear too much spontaneous yelling during songs as does occur at concerts. On this album the generous applause is saved for the end of the songs. 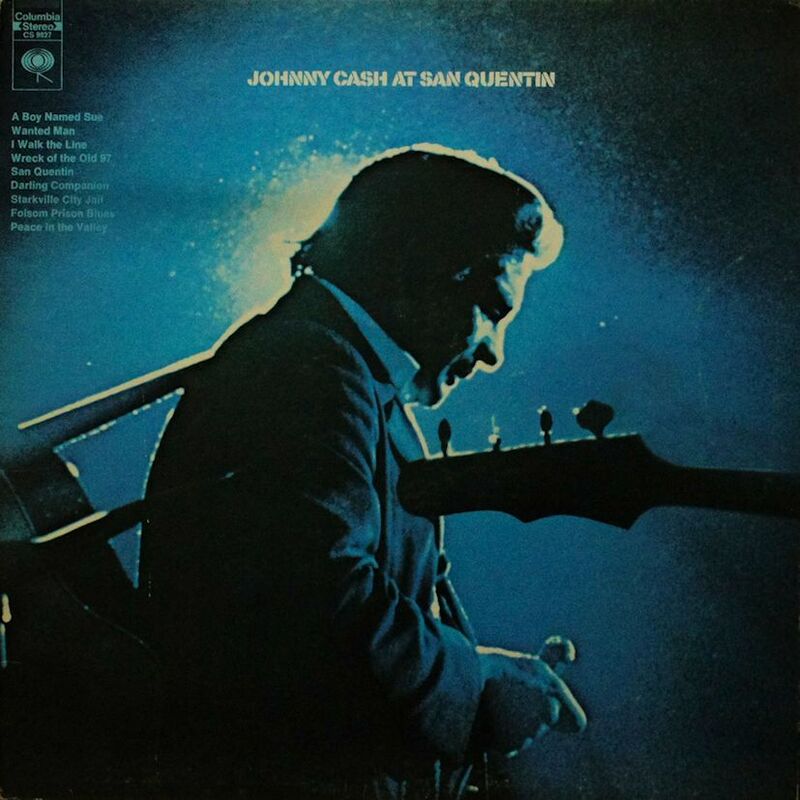 I particularly like that they kept Cash’s banter between the songs in – It makes this album more personal and unique. There was a multitude of this wine on display at Astor Wines in the East Village of New York. I was looking for Rye Whiskey. Kentucky Rye Whiskey. But I looked at this wine bottle. And I looked at the price. Well under ten bucks. Even withe the exchange rate to Canadian. And the sale price. Of course I took this wine. I also bought some whiskey – but that is another tale. That same evening I shared this bottle with some very good friends. Very nice wine. If I was to find a fault it would be that it was a little weak in flavour. It was very nicely balanced but lacked a kick. Which is not a bad thing I suppose. This is a fantastic wine at the full price and a steal at the discounted price.